We are open between Christmas and New Year at our 95 Auburn Rd, Hawthorn East store, between 10.30 am and 4.30 pm. 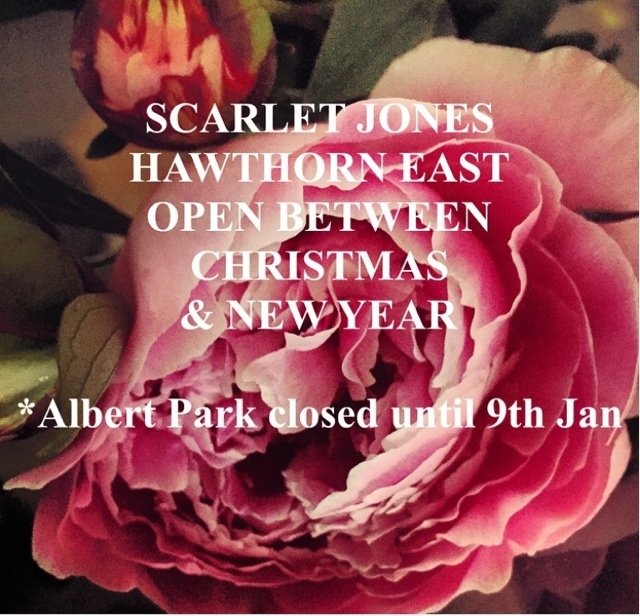 Albert Park store is closed until the 9th Jan 2017. Enjoy your break!